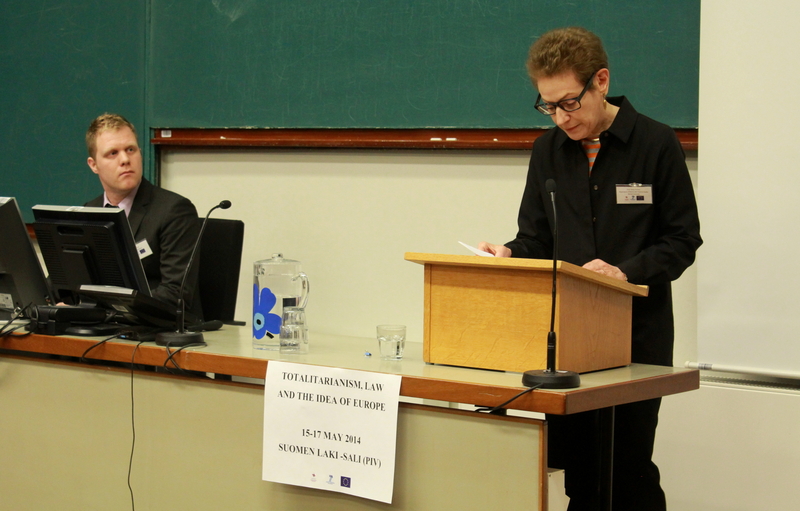 The “Totalitarianism, Law and the idea of Europe” conference was a great success. The project wishes to thank all the participants for the interesting papers and thought-provoking conversations. 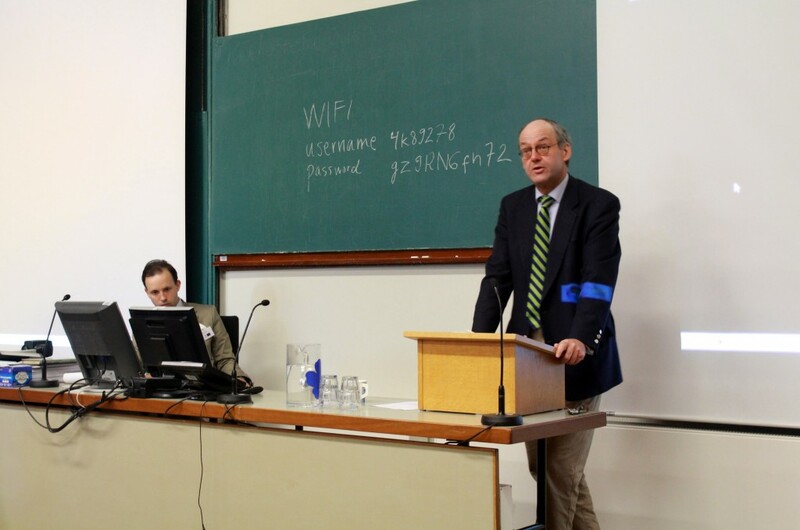 Keynote speaker professor Wolfgang Ernst giving a lecture. Keynote speaker professor Nancy Partner giving a lecture. 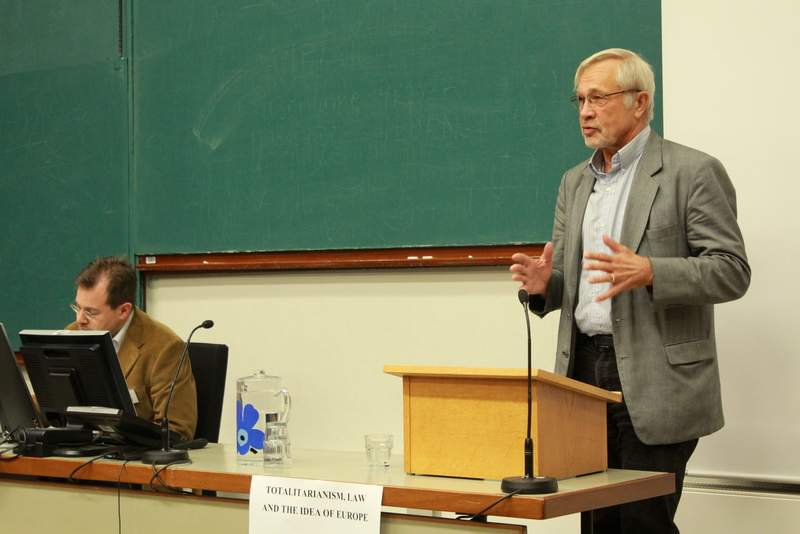 Keynote speaker professor Bo Stråth giving a lecture. 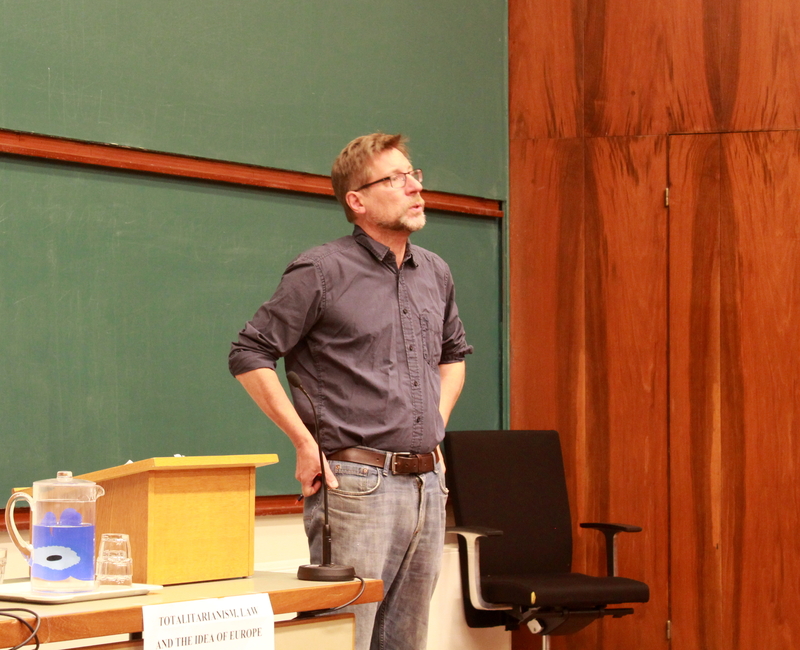 Keynote speaker professor Peter Fritzsche giving a lecture. Here are the abstracts of the papers to be presented at the conference. All sessions are held in Porthania, lecture hall IV (Suomen laki -sali), Yliopistonkatu 3. All of the sessions of the conference are held on the Centre Campus of the University of Helsinki, at Porthania (Yliopistonkatu 3). You can get from Helsinki-Vantaa airport to Helsinki City Centre either by taxi (the fare is approximately 40-50 euros) or by bus (the buses take you to the Central Railway station). You can either take the city bus number 615, which costs 5,00 euros (cash (the driver doesn’t have to accept bills larger than 20 euros) or Travel Card only), or the Finnair bus, which costs 6,30 € (cash (bills larger than 20 euros not necessarily accepted), credit cards). The metro station nearest to the event location is called Kaisaniemi. Lunches are not covered by the conference. There is a university cafeteria in Porthania where the conference is held as well as in the university main building. There are also several restaurants near the campus. Here are some recommendations. Ichiban Sushi on Mikonkatu 8. In the same building there is a Chinese restaurant Grand Shanghai as well as a Mexican restaurant Santa Fe. Morrison’s Grill & Green is located on Ateneuminkuja, behind the art museum Ateneum, where you can also have lunch. In Kaisa Library (Vuorikatu 7) there is Gaudeamus Kirja & Kahvi, which serves salads ans soups for lunch. An Italian restaurant Vespa is located on Eteläesplanadi 22 and Il Siciliano on Aleksanterinkatu 36. Belge is a Belgian restaurant, located in Kluuvi Shopping Center at Kluuvikatu 5. In the same building you can also have lunch at Hanko Sushi, Fratello Torrefazione coffee house or Armas-pikaruokala. On Yliopistonkatu, right next to the university, there is Wrong Noodle Bar and next to it a Nepalese restaurant Base Camp. By the Senate square you can have lunch either in Sunn Restaurant or Café Engel. Other options can be found at Eat.fi Helsinki -service. The purpose of the project “Reinventing the Foundations of European Legal Culture 1934-1964″ (foundlaw.org) is to trace the genealogy of the idea of a common European legal past, its creation, influence and implications of the theory as an ideological project. Please submit your abstract (300 words) as a [word/pdf] file to Heta Björklund at foundlaw@gmail.com. Please include your name, academic affiliation and address in your email. The deadline for submission of abstracts is February 15, 2014. We will inform of the selections by the end of February.